I will keep my Rella shares. The spread is currently close to 5%. Assuming we will get paid by end of September, its 12% annualized with close to zero deal risk. And there is a chance that 1) liquidation costs are lower than expected (I calculate 77.8 DKK) and 2) as you mentioned they buy back some more shares which will be of benefit of last holders. I managed to exit at a somewhat smaller spread, but the more important consideration is that I don’t want to hold this until liquidation because I’m worried that it could have negative tax consequences for me. And given the illiquid nature of Rella I think there is a high probability that a sizable spread will exist until the very end. If I didn’t have to worry about taxes I wouldn’t have sold. Good analysis on RHDGF. 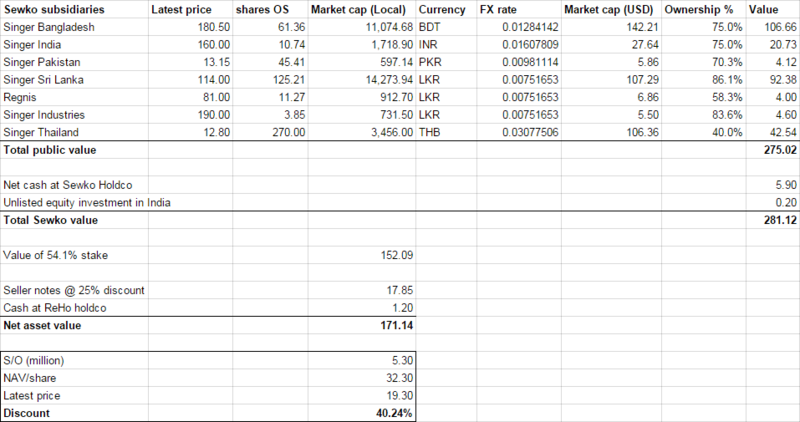 Recently the Sri Lanka business was restructured and the effect was a $1.07 cash to RHDGF holders. The SL business is booming and so is their Indian business. If Bangladesh can start to grow again which I believe they will this is a $45-$50 stock. Management finally is starting to monetize the assets so I expect companies to be floated individually in the next 6-12 months. Given oil prices remaining on low levels and, e.g. 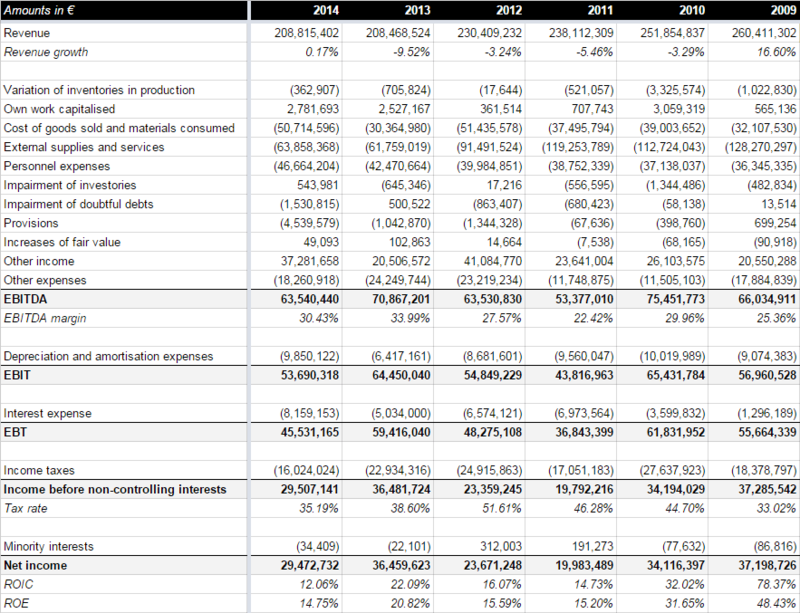 Mota Engil Africa not doing very well (business and stock price) I wonder if there is any update on CDU’s H1 2015 figures? Furthermore, Angola seems to face headwinds given the commdities slump (possibly triggering cuts in construction) and the currency which devalued somewhat. This will probably reverse FX gains CDU saw last year at least to some degree. Up to now the CDU share price (which actually never was near to even slightly overvalued) was quite stable in the mid-60 EUR range. Of course Conduril was always cheap, however, it will probably be less so giving deteriorating fundamentals. The question is of course by how much. Not sure if this already a good point to think about buying. The note on the balance sheet is in USD, and mark to market accounting is necessary in both cases because Conduril reports in EUR. And certainly agree that fundamentals have deteriorated (but that isn’t news, that’s why I sold a large part of my position last year! ), but also think that it is still pretty cheap.